A variety of popular classics to brighten your lunchtime. 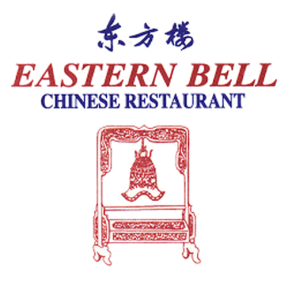 When it comes to authentic Chinese food, freshly cooked treats, and a relaxing dining experience, visit the Eastern Bell Chinese Restaurant in Balwyn. Established over 25 years ago, enjoy the panoramic view of the Dandenong ranges, silver service and amazing food. Rawsthorne: Overture - Street Corner. Pro Arte Orch/Alan Rawsthorne. Verdi: Aida: Dance of the Priestesses. National SO of Ireland/Rico Saccani. Lehar: Count of Luxembourg, highlights. Budapest PO/Janos Sandor. Shostakovich: Polka. Australian CO/Richard Tognetti. Alsop: A La Fenetre. Slava Grigoryan, gtr., Jeremy Alsop, gtr. Joplin: A Breeze from Alabama. William Albright, pno. Sondheim: A Little Night Music: The Night Waltzes. Hollywood Bowl Orch/John Mauceri. Posford (arr. Gamley): Balalaika: Cossacks' Song; At the Balalaika. Dame Joan Sutherland, sop., Ambrosian Opera Chorus, New Philharmonia Orch/Richard Bonynge. Gilmour: Ride. 22SQ Saxophone Ensemble. Arlen: Get Happy. Jay Jay Johnson Sextet. Coates: The Seven Seas March. Sydney SO/John Lanchbery. Haydn: Sailor's Song. Sir Thomas Allen, bar., Roger Vignoles, pno. Ireland: Sea Fever. Sir Thomas Allen, bar., Roger Vignoles, pno. Beethoven: Rondo fr Horn Sonata in F, Op.17. Richard Runnels, horn, Brachi Tilles, pno. Debussy: Arabesque No.1. Yiyun Gu, pno. Schumann: 1st of Marchenerzahlungen, Op.132. Paul Dean, cl., Lisa Moore, pno., Brett Dean, vla. Respighi: Dance of the Tartar Archers & Khorovod Dance fr The Magic Pot. Slovak RSO/ Adriano. Suppe: Boccaccio: Fiametta's Song. Elisabeth Schwarzkopf, sop., Philharmonia Orch/Otto Ackermann. Grainger: Prelude in G. Penelope Thwaites, pno. Grainger: Prelude in C. Penelope Thwaites, pno. Grainger: Gigue. Penelope Thwaites, pno. Donizetti: Nella Fatal di Rimini fr Lucrezia Borgia. Margreta Elkins, m-sop., Australian Opera Chorus, Elizabethan Sydney Orch/Richard Bonynge. Rozsa: Spellbound, Theme. London Festival Orch, London Festival Chorus/Stanley Black. Tesori: The Speed Test fr Thoroughly Modern Millie. Marc Kudisch, voc., Sutton Foster, voc., Sheryl Lee Ralph, vocals, Harriet Harris, vocals, Francis Jue, vocals, Studio Orch/Michael Rafter. Hyde: Happy Occasion Overture. West Australian SO/Richard Mills. Edwards: Marimba Dances, 1st Mvt. Claire Edwardes, perc. Granados: El pelele. Garrick Ohlsson, pno. Hyde: Sea Shell Fantasy - Flute and Piano. Andrew West, pno., Bridget Bolliger, fte. Chopin: Polonaise in F sharp minor, Op.44. Artur Rubinstein, pno. Traditional (arr. Koncz): Dances from Transylvania. Odon Racz, db., Leonid Kavakos, vln., Andreas Ottensamer, cl., Christoph Koncz, vln., Antoine Tamestit, vla., Stephan Koncz, vlc., Oszkar Okros, cimbalom, Predrag Tomic, accordion. Tawadros: Odd Tango. James Crabb, accordion, Joseph Tawadros, oud, James Greening, tbn., Matt McMahon, pno., James Tawadros, perc. Adam: Giselle: Pas de Deux. Cincinnati Pops Orch/Erich Kunzel. Mozart: Babette's Feast, Give me your hand. Isobel Buchanan, sop., John Pringle, bar., Queensland SO/Richard Bonynge. Brooker: A Whiter Shade of Pale. Sarah Brightman, sop., Unnamed Orch. Liszt: Der Lindenbaum (Schubert Song Transcription). Jorge Bolet, pno. Berlin (arr. Anderson): Annie Get Your Gun: Medley. Boston Pops/Arthur Fiedler. Nielsen: Maskarade, FS39, Overture, Prelude to Act II. South Jutland SO/Niklas Willen. Weill: The Threepenny Opera: Ballad of Mac the Knife. Bertolt Brecht, voc., Theo Mackeben's Jazz Orch. Verdi: Aida: O terra addio. Placido Domingo, ten., Elena Obraztsova, m-sop., Katia Ricciarelli, sop., La Scala Chorus, Milan, La Scala Orch, Milan/Claudio Abbado. Various: Tongues of Fire. Victoria Welsh Male Voice Choir. Lehar: Giuditta: Meine Lippen sie kussen so heiss. Anneliese Rothenberger, sop., Bavarian SO/Carl Michalski. Chopin (arr. Melichar): In mir klingt ein Lied. Anneliese Rothenberger, sop., North West German PO/Werner Schmidt-Boelcke. Debussy: Clair de lune. Isador Goodman, pno. Bartok: Romanian Folk Dances, Sz.56. David Howie, pno., Som Howie, cl. Gounod: Faust: Soldiers Chorus. London SO, Ambrosian Opera Chorus/Richard Bonynge. Traditional (arr. Marschik): Scarborough Fair. Vienna Boys' Choir, Unnamed Orch/Peter Marschik. : C'etait une histoire d'amour. Edith Piaf, voc. Strauss Jnr: Banisher of Gloom, Op.247. CSSR State PO/Alfred Walter. Johann Christian Bach Artaserse, overture. The Hanover Band/Anthony Halstead. Carlos Salzedo: Song in the Night. Susann McDonald, harp. Vivaldi (arr. Mehta): Four Seasons, Op.8, winter (Allegro con molto). Dennis Parker, vlc., Yale Cellos/Aldo Parisot. Chopin: Barcarolle in F sharp, Op.60. Martha Argerich, pno. Borodin (arr. Drake): Polovtsian Dance. Jason Waldron, gtr., Unnamed Ensemble. Rabaud: Divertissement on Russian Songs Op.2. Rheinland-Pfalz Philharmonic /Leif Segerstam Finale Allegro. Paganini: Sonata No.12 in E minor, Op.3/6. Arthur Grumiaux, vln., Istvan Hajdu, pno. Glinka: A Life for the Tsar. Maxim Mikhailov, bass, Natalia Spiller, sop., Yelizaveta Antonova, m-sop., Georgi Nelepp, ten., Alexander Hosson, bass, Ivan Skobtsov, bass, Fyodor Svetlanov, bass, Bolshoi Chorus, Bolshoi Theatre Orch/Alexander Melik-Pashayev. Sibelius: Ballet Scene. Gothenburg SO/Neeme Jarvi. Franck (arr. Reynolds): Panis Angelicus. Jonathan Antoine, ten., Lyric Strings, London Session Singers/Julian Reynolds. Arnold: Fantasy for clarinet, Op.87. Nash Ensemble. Munro: Children's Concerto. Tian Tian Lan, pno., Monash Academy Orch/Mark Shiell. Jones (arr. Williams): The Colour Purple. Itzhak Perlman, vln., Pittsburgh SO/John Williams. Lemmone: Graceful Dance. David Miller, pno., Paul Curtis, fte. Morricone: Nella Fantasia. Sarah Brightman, sop., Unnamed Orch. Jobim (arr. Ogerman): Meditation. Antonio-Carlos Jobim, pno., George Duvivier, db., Leo Wright, fte., Antonio-Carlos Jobim, gtr., Jimmy Cleveland, tbn., Edson Machado, drums, Unnamed Orch/Claus Ogerman. Sieczynski: Vienna City of My Dreams. Fritz Wunderlich, ten., Vienna State Opera Chorus, Vienna Folk Opera Orch/Robert Stolz. Beethoven: Scherzo fr Piano Trio No.7 in B flat, Op.97, 'Archduke'. Seraphim Trio. Corelli: Adagio. Otti Veit, vlc., May Clifford, pno. Anonymous (arr. Latitude 37): Chorea Polonica. Latitude 37. Karlowicz: Violin Concerto in A, Op.8: Finale. Wojciech Plawner, vln., Zielona Gora SO/Czeslaw Grabowski. Kreutzer: Finale fr Grand Quintet in C major. Sarah Francis, oboe, Allegri String Quartet. Mendelssohn: Autumn Song, Op.63/4. Cord Garben, pno., Brigitte Fassbaender, mezzo-sop., Hidenori Komatsu, bar. Mendelssohn: Farewell song of the birds of passage, Op.63/2. Cord Garben, pno., Kurt Moll, bass, Hidenori Komatsu, bar. Liszt (arr. Busoni): Valse à Capriccio sur deux motifs de Lucia et Parisina. Ferruccio Busoni, pno. Donizetti: La Fille du Regiment: Chacun le sait. Elena Xanthoudakis, sop., Northern Sinfonia/Richard Bonynge. Angy Palumbo: Petite Bolero. Alison Stephens, mndln., Craig Ogden, gtr. Julio Sagreras: The Humming Bird (El colibri). Craig Ogden, gtr. Kats-Chernin: 2nd movt fr Piano Trio, 'Spirit and the Maiden'. Streeton Trio. Bernstein: Something's coming fr West Side Story.Larry Kert, voc., New York PO/Leonard Bernstein. Bernstein: Candide Overture. Saint Louis SO/Leonard Slatkin. Faure: Requiem, Op.48, Pie Jesu. Renee Fleming, sop., Royal PO/Andreas Delfs. Soler: Sonata No. 48 in C minor. Gilbert Rowland, hpschd. Beethoven: last movement from Piano Concerto No.3 in C minor, Op.37. Stephen Kovacevich, pno., BBC SO/Sir Colin Davis. Ellington: It Don't Mean a Thing. Dr John, org., Dr John, voc., Jazz Ensemble. Bach (arr. Grigoryan): Arioso from Cantata No.156. Slava Grigoryan, gtr., Leonard Grigoryan, gtr., Adelaide SO/Benjamin Northey. Offenbach: Un mari a la port: Valse tyrolienne. Sumi Jo, sop., English CO/Richard Bonynge. Williams: from Star Wars, episode ll, motion picture score. London SO, London Voices/John Williams. Telemann: Recorder Sonata in C, TWV41:C2. Tripla Concordia. Sor: Six Waltzes. Josep Maria Roger, fortepiano. Mozart: Overture - Magic Flute, K620, arr. Two pianos. Anthony Paratore, pno., Joseph Paratore, pno. Prokofiev: Symphony No.1 in D, Op.25 - Classical. Berlin PO/Seiji Ozawa. Bernstein: West Side Story: One hand, one heart. Mark DuBois, ten., Sherri Saunders, sop., Rochester Pops/Erich Kunzel. Sullivan (arr. MacKerras/Duthoit): Pineapple Poll Suite. Eastman Wind Ensemble/Frederick Fennell. Coward: Private Lives: Some day I'll find you. June Bronhill, sop., Brian Fahey Orch/Brian Fahey. Kern: Roberta: Smoke gets in your eyes. June Bronhill, sop., Williams Singers, Cyrin Ornadel Orch/Cyril Ornadel. Puccini: Turandot: Non Piangere Liu!. Jussi Bjoerling, ten., Renata Tebaldi, sop., Giorgio Tozzi, bass, Rome Opera House Orch/Erich Leinsdorf. Poulenc: Les chemins de l'amour. Len Vorster, pno. Puccini: La Rondine: Ch'il bel sogno di Doretta. Sue Goessling, pno., Jane O'Toole, sop. Fibich: Poeme. London Salon Ensemble. Puccini: Madam Butterfly: One Fine Day. David Hickman, tpt., Arizona State University CO/Timothy Russell. Oberfeld: Ne me dis plus tu. Fernandel, voc., Unnamed Ensemble. Millocker: Gasparone, highlights. Budapest PO/Janos Sandor. Sullivan: Princess Ida Overture. D'Oyly Carte Opera Orch/John Owen Edwards. Anton Arensky: Concert Valse. Sergei Nakariakov, tpt., Alexander Markovich, pno. Isaac Albeniz (arr. Lagoya): Suite espagnola, Op.47/5: Asturias. Alexandre Lagoya, gtr., Academy of St Martin in the Fields/Kenneth Sillito. Jane Rutter: Blo. Jane Rutter, fte., David Hirschfelder, kybd., Tom E Lewis, didjeridu. Gershwin: Three preludes. Leigh Harrold, pno., Nick Parnell, perc. Traditional (arr. Vardos): Katusha. Judit Romer, bracsa, Victoria Toth, hammer dulcimer, Vardos.